SCARLETS suffered their second loss in a row on the road after Leinster ran out 20 – 13 winners at the RDS Arena in Dublin. Both sides were missing a number of players due to international duty and injury but it was the men in blue who claimed maximum points in front of the home crowd. It was the Welsh region who had the perfect start, with winger Johnny McNicholl going over in the corner after excellent hands from the backline. Fly-half Dan Jones converted from the touchline whilst try-scorer McNicholl was forced off due to a shoulder injury. The home side hit back with two tries from James Lowe to give his side a 10 – 7 lead at half-time. Leinster started the second half in fine fashion with Luke McGrath going over in the corner for their 3rd try, Ciaran Frawley converted from the touchline. 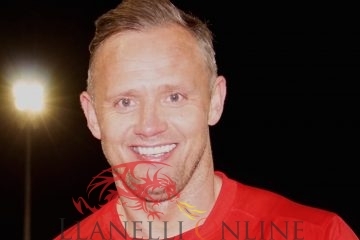 Jones nailed a penalty in the 57th minute to bring the Scarlets back to within a score. 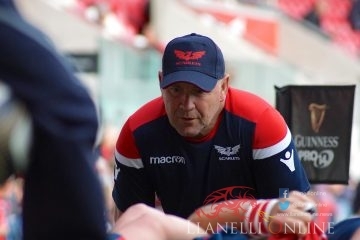 But Leinster added a late penalty to hold firm and retain their position at the top of conference B.
Jones managed an 80th minute penalty to give the Scarlets an all important losing bonus point. Up next for the Scarlets, they welcome Ulster to Parc Y Scarlets next Saturday (Feb 24) in the Guinness Pro14.